Dogs have gas. It’s just part of having a pet. You can be sitting on your couch one night and all of a sudden get a whiff that brings tears to your eyes. While this is, of course, natural, if a dog has excessive gas, you’ll want to do something about it. Here are some of the reasons why dogs have gas, and some safe home remedies for dog gas that you can try at home. Before going into the causes of gas, it’s very important to differentiate between everyday farting and bloat. The latter is extremely serious, and may even require immediate medical attention. Many dogs get a little too exuberant when it comes to mealtime. As a result, they eat too fast. When this happens, they swallow a great deal of air, causing a condition known as aerophagia.4 This, in turn, results in a buildup of gas in the gastrointestinal tract. You probably have had some experience with this one, since most dogs are notorious for getting into things they shouldn’t. Eating garbage, an outdoor plant, or something else that causes an upset stomach will very likely lead to gas. Should You Try a Raw Food Diet for Your Dog? 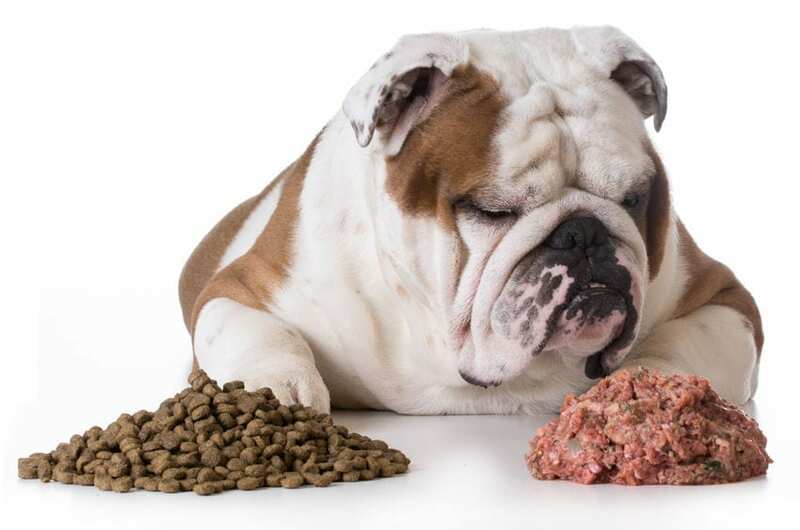 Some pet owners prefer putting their dog on a raw food diet, rather than giving them regular dry food. This type of diet is just like it sounds – it includes fresh, raw food, such as meat and bones. It also typically includes nutritional supplements and vegetables. A raw diet is one beneficial example of home remedies for dog gas. There are a lot of things you can try at home if your dog’s gas is starting to get out of control. Here are just a few options for home remedies for dog gas. If you have two or more dogs, and you feed them at the same time, that could also contribute to them eating too quickly. 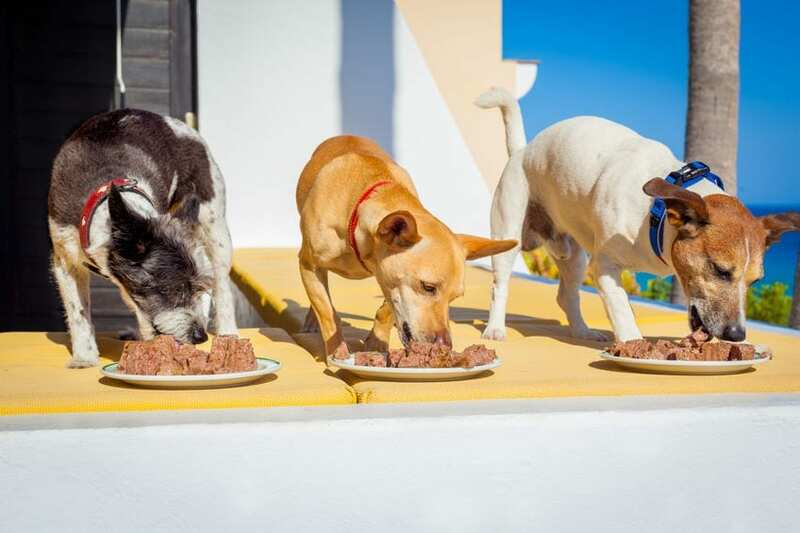 Some dogs are competitive, wanting to eat as fast as possible to “beat” the other dogs. They might also eat fast so they can get to whatever food might be in the other bowls. 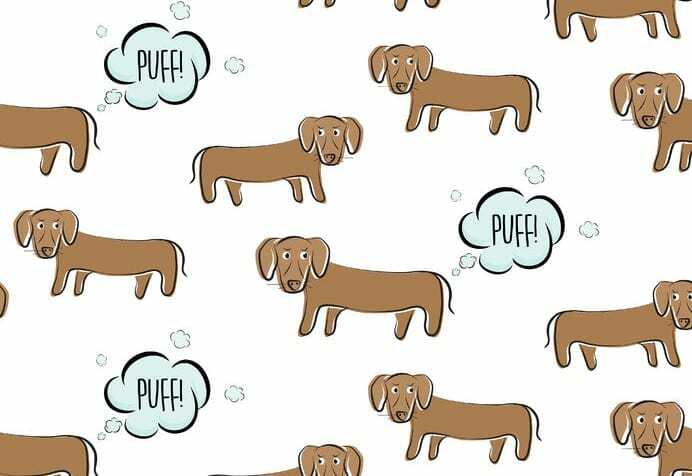 Think about feeding your dogs separately, and see if that reduces the flatulence problem. Remember that while flatulence can be very annoying, it’s harmless in the vast majority of instances. Talk to your vet before you make any drastic changes to your dog’s diet, try home remedies for dog gas, or if you’re thinking about giving supplements to your pet. And you will definitely need to seek medical attention if your dog is showing any symptoms of a serious digestive problem – home remedies for dog gas won’t make the cut if you’re dealing with a digestive issue. 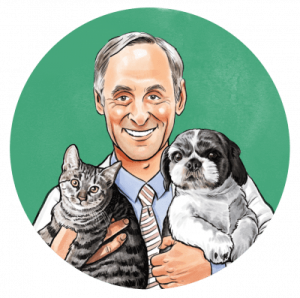 If you think your dog is farting excessively, it’s always best to get a vet’s feedback.